One of the most salient insights we learned from our recent market-wide study was that not all business development training is created equal. Different firms, practice areas, industry groups, and lawyers require different types of training/coaching to maximize ROI. 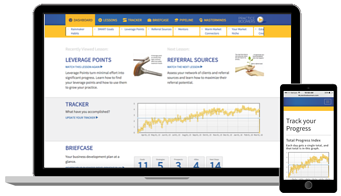 Our firm has launched an innovative BD model that is not only scalable across any law firm, but maximizes different lawyers' capabilities, time availability, marketing bandwidth, and marketing budget. It's called the BD Training Pyramid. At the bottom level, associates are given widespread low-cost group training or an e-learning program like Practice Boomers. Minimal coaching involvement is required on the part of marketing, as group coaching sessions are only held monthly or quarterly. Participation, engagement and click-through are tracked at this level to determine which lawyers are most engaged in BD, warranting further investment in Tier 2. In the center, a smaller group of junior-to-mid-level partners are given individual coaching by internal marketers or external coaches. A high-adoption pipeline management tool like Practice Pipeline can be used to track their activities and originations. 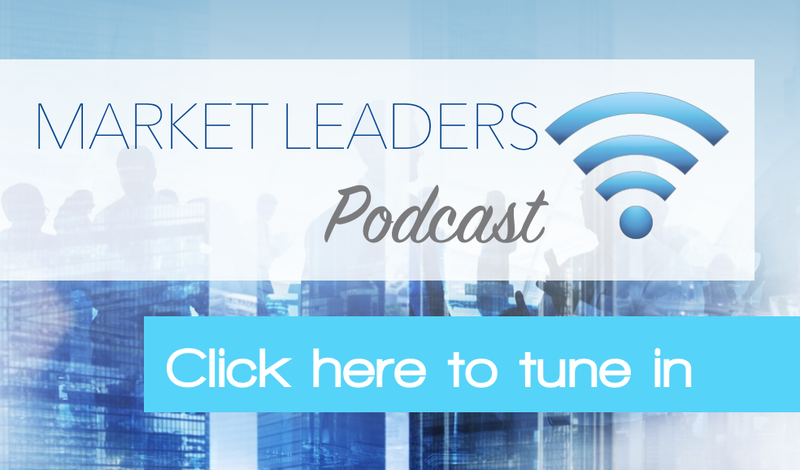 Emerging rainmakers rising up through the firm's ranks are eventually invited to Tier 3. At the top, select senior partners participate in bespoke client team programs, cross-selling programs, and client site visit initiatives. Individual or small-group coaching is structured around specific client-facing initiatives. Our faculty of coaches have created tailored client programs for many firms in the industry. In addition to being scalable, the BD Training Pyramid enables a firm to implement a static, institutionalized BD training structure through which lawyers can advance into higher echelons as they mature through the ranks of the firm. Rather than reinventing the wheel once every year and trying some new business development coaching firm or training idea, the BD Training Pyramid model can be used at firms of all sizes to provide relevant content, support and accountability for every lawyer without straining marketing’s budget or bandwidth. We invite you to pilot this model at your firm and adapt it to your culture and needs. We're happy to provide assistance and insights from our experience implementing it with other firms. 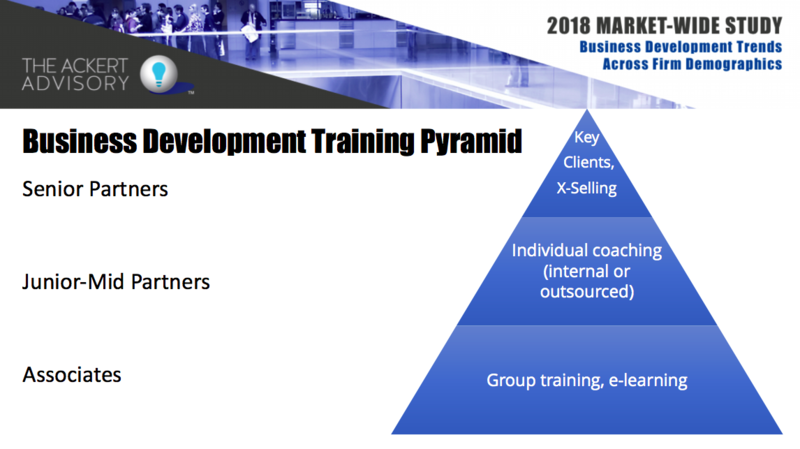 We piloted the BD Training Pyramid with a 500-lawyer East coast firm (who wishes to remain anonymous for the purposes of this blog), and after one year they had achieved a 635% ROI using Practice Boomers, Practice Pipeline, and a combination of internal/external coaching by our faculty. Let us know if you would like to see a demo of our software suite. Fill out the form below.